Friends of Midway Atoll NWR supports key projects to help protect the natural and historic resources of the Refuge. The following examples describe a few of FOMA’s accomplishments over the years. Before humans began changing the landscape, Laysan Ducks occurred throughout the Hawaiian archipelago. By 1911, human activities such as guano mining, hunting, and habitat alteration had reduced the population to a precipitously low level: only 11 birds remained, all found on Laysan Island. To prevent these diminutive “teal” ducks from becoming extinct, the U.S. Fish and Wildlife Service started a translocation program to establish breeding populations on other islands to give this endangered species a chance of survival. In 2004 and 2005, USFWS moved 42 ducks to Midway. 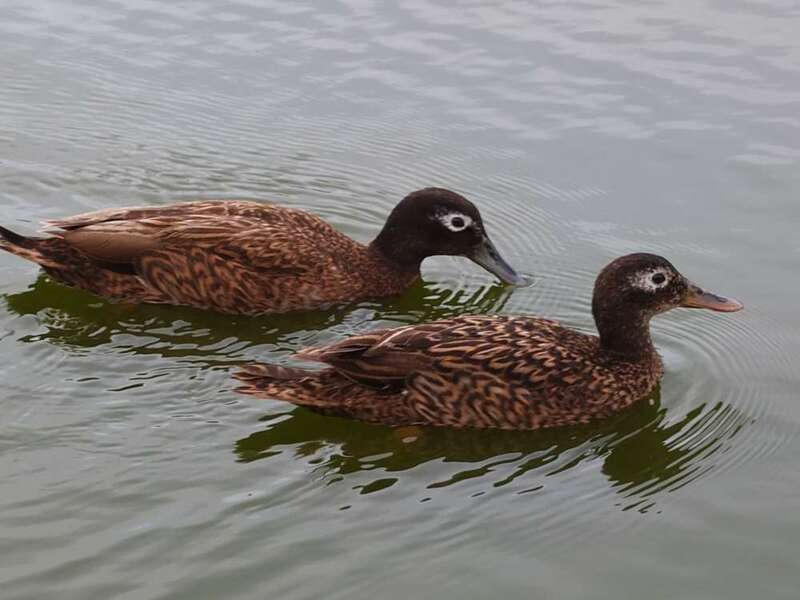 To support this important endeavor, FOMA helped purchase 30 tiny radio transmitters, which allowed Refuge staff to monitor the ducks and record the growth and sustainability of the flock. In later years, FOMA purchased water “guzzlers,” which provide a clean source of water to reduce the prevalence of botulism while also creating important habitat for adults and ducklings. 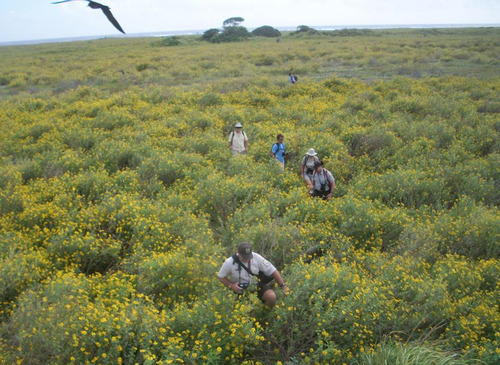 Invasive plants destroy native habitat on Midway that is crucial to wildlife. Verbesina encelioides (Golden Crown-beard), a non-native plant likely introduced in the 1930s, became an impenetrable blanket in many nesting areas formerly used by the gooneys. FOMA obtained a grant from the National Fish and Wildlife Foundation to jumpstart the ambitious goal of eradicating this scourge from the atoll. These early efforts helped the Refuge secure additional funds to clear many acres of this noxious weed. Refuge staff are documenting the return of albatross to areas previously dominated by V. encelioides. Each year the FOMA Board works with Refuge staff to identify where funding and Board efforts will be most useful. Examples of previous purchases include new bicycles and baskets for volunteers and staff, and materials for the native plant shadehouse. Management-focused research can help protect the atoll’s extraordinary wildlife. FOMA helped purchase a remote camera to monitor the Short-tailed Albatross nest on Eastern Island; this allowed USFWS staff on Sand Island to keep track of the birds while reducing potential disturbance to a critically endangered species. 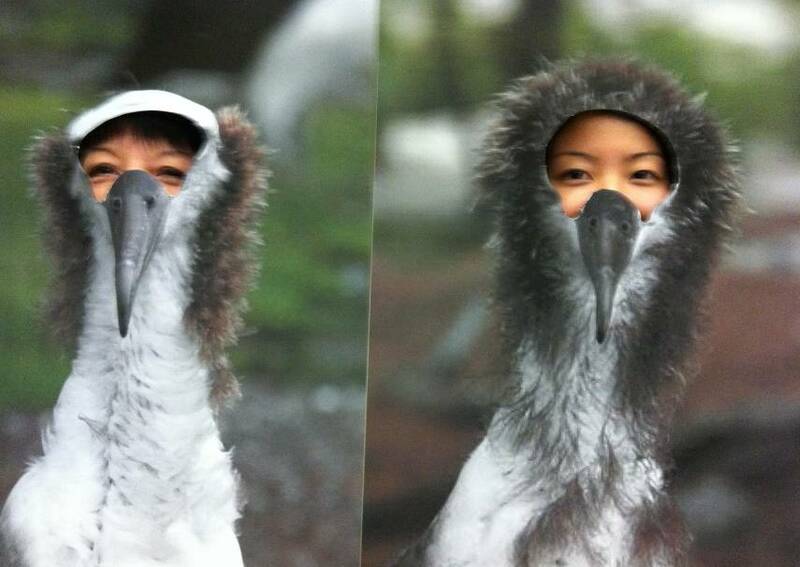 FOMA helps cover expenses for a crew of 10-12 volunteers who count Midway Atoll NWR’s millions of albatross each year. Count data provide valuable information about population trends over time. 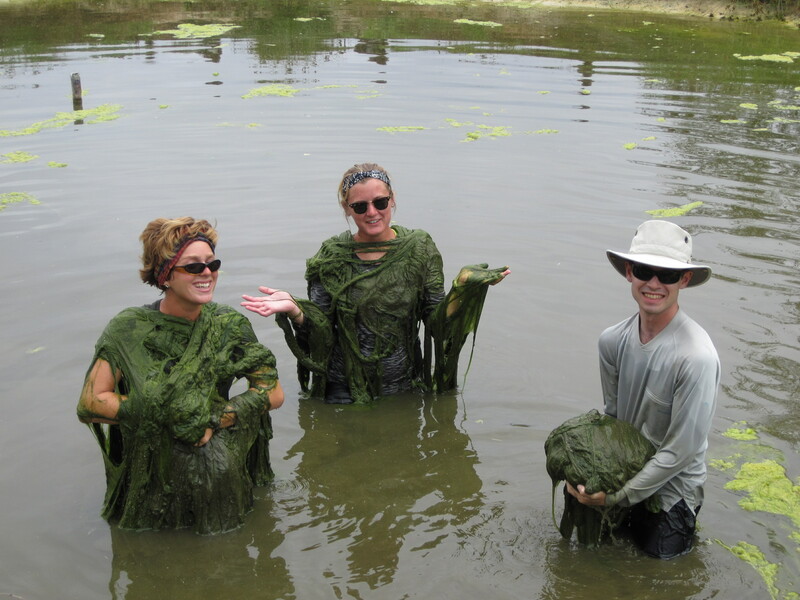 Long-term volunteers help boost Refuge staff capacity by assisting with key management and research tasks, including seep checks for Laysan Ducks, habitat restoration, marine debris removal, population monitoring, and facility maintenance; FOMA support for long-term volunteers is in the works. Midway Atoll’s remoteness makes it difficult for the rest of the world to know what is happening on the atoll. FOMA has helped bring Midway Atoll stories to the rest of the world through various activities. The Board funded an online game to educate students about marine debris issues and has supported and volunteered at several Battle of Midway anniversaries. Our Gooney Gazette II newsletter and new website are designed to share stories of current activities while also honoring Midway Atoll’s incredible history. Through our Facebook page, FOMA connects people to Midway Atoll through stories and pictures of the Refuge. FOMA produced a video about Colonel Miniclier’s experience during the Battle of Midway, helping to preserve and honor Midway Atoll’s place in history, and supported video documentation of the story of Wisdom and her chick in 2015. Displays and presentations at public events help reach new audiences. 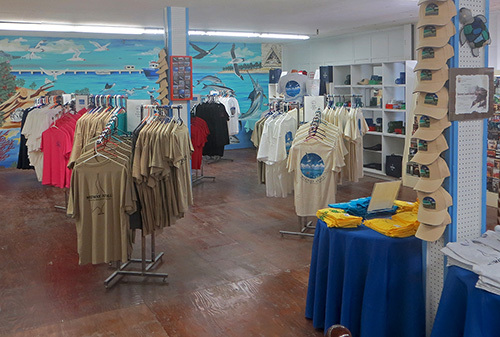 The on-island gift shop is located in the “Midway Mall” and offers researchers, on-island contractors, volunteers, and staff an opportunity to take a reminder of the atoll home with them when they leave. Revenues from the store provide most of FOMA’s operating funds. Merchandise includes Midway T-shirts, books, cups and other mementos. FOMA currently offers a limited online store with merchandise created in partnership with Hawaiʻi artist Caren Loebel-Fried. There is so much more to do to support the vital work of preserving, protecting, and restoring Midway. We invite you to Join us and help grow FOMA’s list of accomplishments!